TEL AVIV — For far too long, Arab nations and Iran have not been called to account for their role in forcing hundreds of thousands of Jews to flee their homes in Arab countries, mostly without enough time to take their possessions or sell their property, following the founding of the Jewish state in 1948. 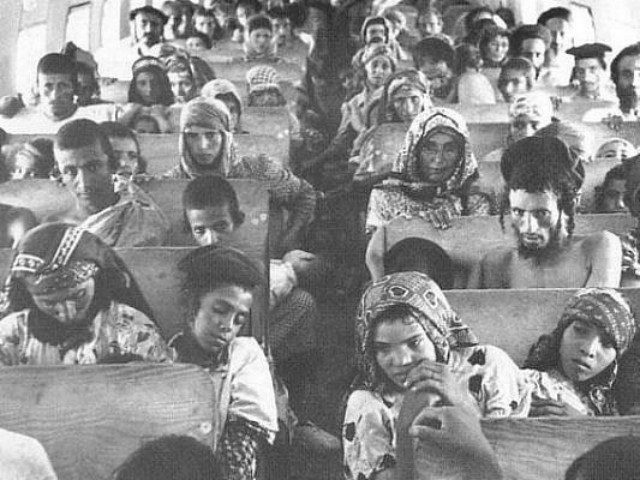 Out of the estimated 850,000 Jewish refugees who fled or were expelled from Arab countries and Iran, the majority were resettled in Israel at great expense to the Jewish state. The Arab nations and Iran did not offer any compensation or financial assistance to aid in the resettlement efforts, and those same nations unilaterally confiscated the Jews’ possessions. Arab nations, meanwhile, have scandalously distorted the history of “Palestinian refugees” while entirely ignoring their own complicity in creating the so-called Palestinian “refugee” crisis by demanding that local Arabs vacate so invading armies could conquer the newly established State of Israel. This while the very real Jewish refugee crisis of the late 1940s and early 1950s, also created by the Arab states, remains largely forgotten. Now Israel seems poised to finally hold the Arab world and Iran responsible for this historic injustice by demanding some $250 billion in restitution for the property and assets that the Jews left behind when they were forced to flee those countries. After decades of letting the Arab nations and Iran off the hook, Israel’s expected move could not come soon enough and must be fully supported by the international community, including the Trump administration. The absorption of the Arab world’s Jews into the newly formed Jewish state is one of the greatest and most under-reported success stories of the Zionist movement. It is also one of the more shameful moments in the histories of Morocco, Iraq, Syria, Egypt, Yemen, Tunisia, Libya and Iran. Reparations are the very least those countries can do to begin to repent for the crimes that they committed against their former Jewish communities.